Do Starbucks workers spell your name wrong ON PURPOSE so you will share pictures of your cup on social media? 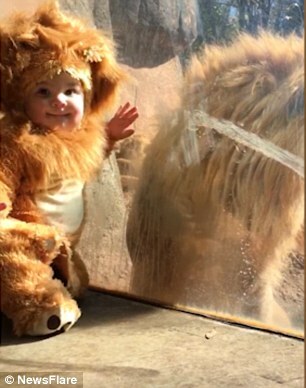 Arctic blast marches east, bringing record low temperatures to the northern U.S.
A toddler dressed as a lion cub gets up close and personal with a big cat in an adorable video. 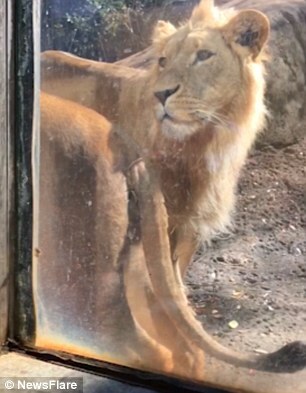 Incredible footage shows baby Aryeh playing with the male lion from behind the safety of a window during a trip to Zoo Atlanta, in the US. 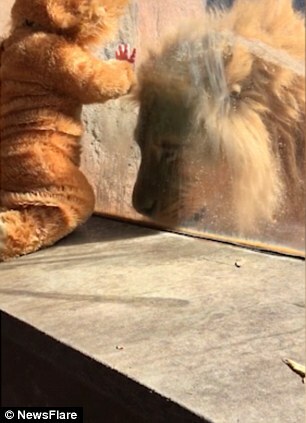 The big cat inquisitively approaches the glass, before putting its paw up as 11-month old Aryeh offers a high five. 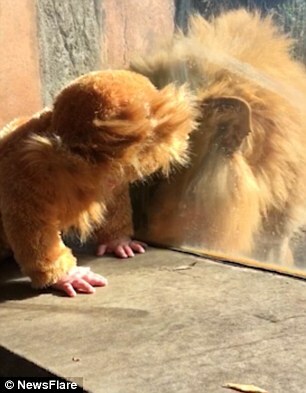 The lion appears fascinated by the furry cub on the other side of the glass and follows Aryeh when he crawls along the window ledge. Aryeh's godfather posted the video on Live Flare and wrote: 'My close friend and I took our 11 month old godson to Zoo Atlanta for a little god family outing. 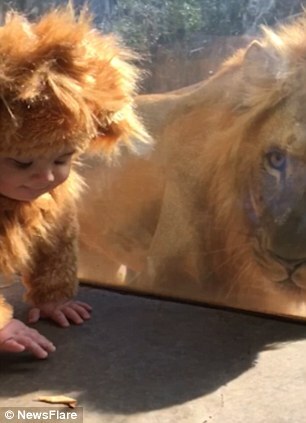 'Our godson's name is Aryeh, which means lion in Hebrew, so his mom packed his lion costume. 'It was a pretty cold day so when we first arrived, the lions weren't out yet. We saw the rest of the animals and stopped by the lion exhibit on our way out. 'When we saw that the lions were out and put Aryeh in his costume, thinking we'd snap a picture of him with the lions in the background. 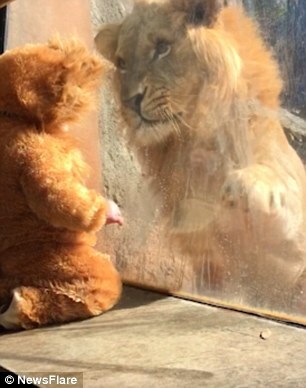 'The lions were immediately interested in our little lion cub, and it wasn't long before they couldn't stand their curiosity any longer and came right up to the glass. 'Aryeh was completely unfazed and interacted with the lions for a few minutes. We took some pictures and videos before moving along as the lions started getting a little worked up and we didn't want to make them too anxious. Arctic blast marches eastward, bringing record low temperatures to the northern U.S.